If you are new to gardening in Florida, October is a lot like April in the north, minus the spring rains. Sometimes our October rains are frog chokers, but October can be drier too. We do start to get some cooler breezes and that makes working outside in the garden more pleasant. October is the last month to fertilize lawns with a complete fertilizer. Use a slow release fertilizer with slow release Nitrogen (like 15 – 0 – 15) at the rate of one pound of Nitrogen per 1000 square feet of grass. A great publication for understanding how to determine how much fertilizer to use is Figuring out Fertilizer for the Home Lawn on the Internet at: http://edis.ifas.ufl.edu/ep221. Now is also the time to control winter weeds in the lawn. Watch for night time temperatures that are 55 – 60 degrees for several nights in a row, and then apply a pre-emergent herbicide. Be sure that the herbicide you choose is labeled for your type of grass. 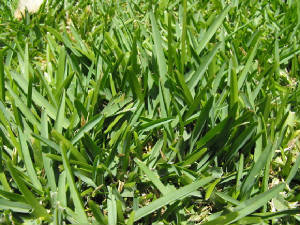 For more information consult Weed Management in Home Lawns on the Internet at: http://edis.ifas.ufl.edu/ep141. Because October is like spring in other parts of the country, we can plant some of the same spring annual flowers now. Impatiens, geraniums, petunias, pansies and snapdragons can be planted as soon as the plants are available. Seeds of calendula and nasturtium can also be planted directly in the ground. Prepare the bed by spading in compost or other organic matter along with some slow release fertilizer just before planting. Mulch the bed well after planting to conserve moisture and keep down weeds. 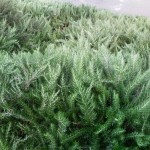 Remember to keep the mulch two to three inches away from the base of each plant. Want to add some bulbs to your landscape. Amaryllis bulbs (Hippeastrum spp.) could be called the Florida tulip. They make a striking bloom show in the spring when planted in groups of 10 or more in landscape beds. 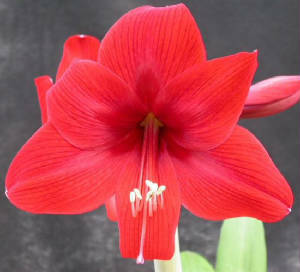 Remember, when planting amaryllis bulbs, the collar and the very top of the bulb should be above the soil line. Keep the mulch away from the top of the bulb. You can also plant Crinum or Swamp Lily bulbs (Crinum americanum) now for spring and summer bloom. Well-suited to hot, dry, locations, Crinum Lilies grow from what are among the largest true bulbs, some weighing over 40-pounds. Crinums will recover quickly from killing frosts in our area. Deer have not eaten the plants of Crinum bulbs in my garden, but they occasionally eat the foliage of the Amaryllis.